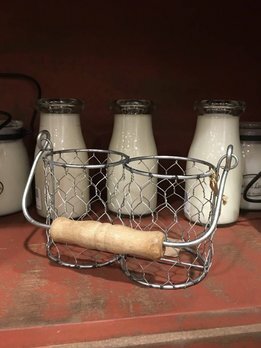 The Milkhouse Farmhouse Wire Milk Bottle Basket is a perfect old time touch and it makes a great gift idea. Simply add your two favorite Milk Bottle 8 oz scents! Candles sold separately.